The former HQ of the Artists’ Rifles still stands at 17 Duke’s Road in London, close to Euston station. 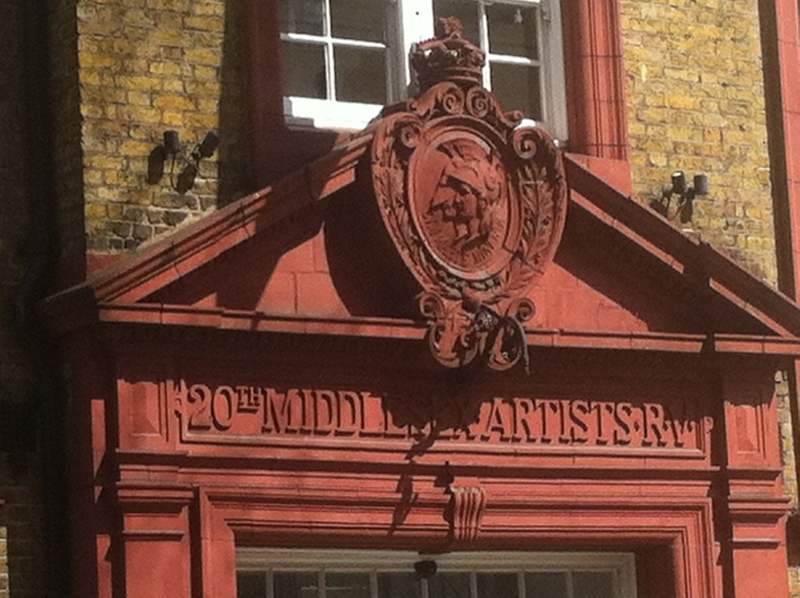 It is easy to walk past it without noticing that, above the doorway, is a rendition of the regimental badge and the words: ’20th Middlesex Artists RV’. The Artist’s Rifles formed a dual function in World War I. It was both an operational infantry unit and a cadre for officer training. During the conflict the regiment lost 2,003 men killed, 3,250 wounded, 533 missing and 286 prisoners of war. Its members won eight Victoria Crosses, fifty-six Distinguished Service Orders and over a thousand other awards for gallantry. This entry was posted in News and tagged Artists' Rifles, DSO, Euston, London, news, relics, Victoria Cross. Bookmark the permalink.